Pain de mie is a French sandwich bread with four square corners baked in a Pullman loaf pan. 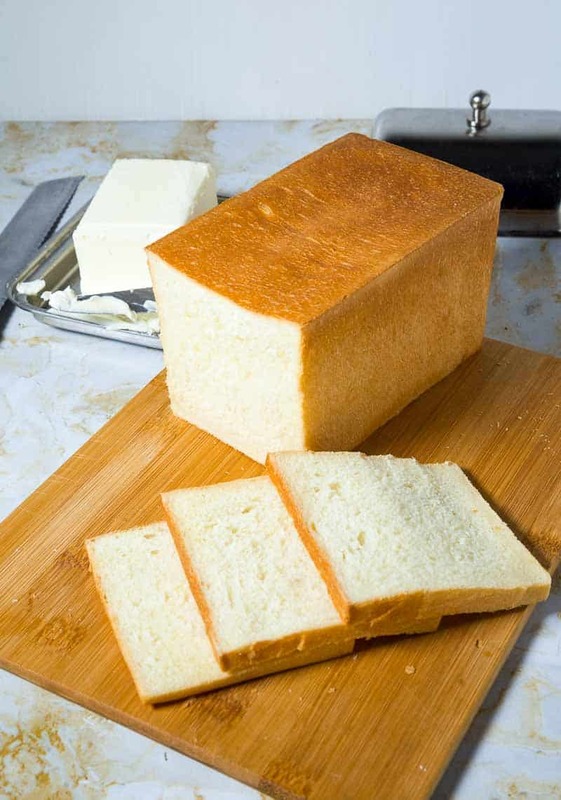 This simple, easy and effortless recipe for Pullman sandwich bread makes a light and fluffy loaf of bread with perfect four square corners, delicate soft texture, soft crumb and delicious flavor that melts in the mouth. Ensure milk is warm, not hot (about 110 F). Add the yeast, sugar, and egg. Stir and set aside to foam for 5 mins. Add flour in a mixer bowl. Mix in the salt and yeast mixture. Knead on medium speed for about a minutes scraping the sides of the bowl. Once all the flour is incorporated. Knead the dough for three minutes until smooth. The dough will be soft and sticky. Next, add the soft room temperature butter. knead again for 2 minutes until smooth and elastic but still soft. Remove the dough from the mixer bowl onto a lightly floured surface. Form into a smooth ball. Place in an oiled bowl and cover with plastic wrap. Leave to rise in a warm place for about an hour until doubled in volume. When the dough is double in volume invert on to a lightly floured surface. 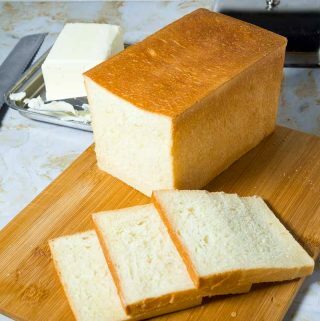 Divide into two - to make two loaves. Start to roll like a jelly roll. Fold from top to the center then again once more towards the end. Place into a buttered Pullman loaf pan seam side down. Cover loaf pan with plastic wrap. Let rise in a warm place for about 45 minutes until almost 2 inches from the top rim of the loaf pan. Once you see your dough is almost halfway up the sides - preheat the oven to 190 C / 380 F for at least 10 minutes. Cover the loaf pan with its lid. Place the loaf pan on the center rack in the hot oven. Bake for about 25 to 30 minutes. The bread is done - when you tap the bottom of your loaf and you will hear a hollow sound. Partially open the lid and let cool for 10 minutes - before you remove and let cool completely. Always let bread rest for at least an hour before you cut - this is the hardest part! !